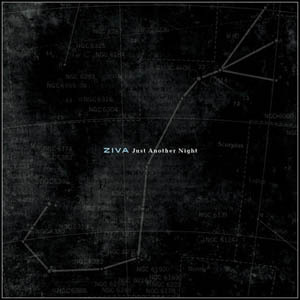 What is immediately striking upon first listen of Ziva Hadar’s Just Another Night is Ziva herself. Ziva’s EP strikes just the right balance between a fusion of jazz-tinged rock, producing a lush sound that pairs up well with her powerful vocal vibrato. Ziva’s classical influences and jazz vocal training are evident and on full display here, but it’s less intrusive and more organically woven into the overall fabric of the material. “Can’t Do Pretend” is a smart choice for the opening track, easing listeners into Ziva’s distinct vocal style and setting the stage to build toward more dramatic peaks and valleys musically. It also establishes a driving piano beat that pervades and brings cohesion to the rest of the songs included here. “New Year’s Eve” has an easy groove and melodic sway that is only enhanced by well-placed harmonies and the addition of the cello. “Morning,” however, is hands-down the standout track in this collection. It plays directly into the artist’s strengths, and provides massive energy and drama for the listener. This song shows off her keen songwriting structure, and builds to such a satisfying crescendo I could easily hear this in a soundtrack, Broadway show or a grand performance room. It’s big, but not too big that Ziva can’t handle it, which makes it such an exciting peek at her future songwriting and performance potential. All in all, this debut EP from Ziva Hadar is indicative of her evolvement as an artist - she has a distinct point of view musically that could have wider appeal. I expect that her live shows hold up well to the strong and confident material on Just Another Night. Expanding on her classic influences and finding resonance with her audience, however, seems to be her strong suit. This is a polished and intriguing set of songs; Ziva Hadar is a unique force of nature, and it’s refreshing to hear such passion and polish in one lovely package. This review appears in partnership with contributing sponsor Independent Music Conference® in promotion of their network of independent artists.